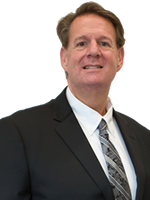 Bernard Thalheimer has been a practicing attorney, specializing in Personal Injury for the last 30 years. He has handled all aspects of litigation, including taking cases to a successful result in trial approximately 30 times. Besides trial litigation, Mr. Thalheimer has arbitrated successfully over 200 cases. Over the course of 30 years, Mr. Thalheimer has settled all types of cases, totaling in excess of 200 million dollars. His reputation with the Insurance Carriers and the Defense Attorneys is well known and highly regarded. He is known as tenacious but fair. Mr. Thalheimer, beside being a member of the California State Bar, is also a member of the United States District Court, both Central District and Northern District, has acted as an Arbitrator/Mediator for the Los Angeles Superior Court, and has been a member of the Los Angeles County Bar Association and Consumer Attorneys of Los Angeles. He graduated from UCLA with a Bachelor in Political Science and earned his law degree from Western State University. © Kamran Yadidi Law Group, All Rights Reserved.